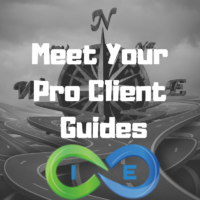 Here at I&E, one thing that we’ve learned over the years is that if you really want to compete in today’s life insurance industry as an independent life Insurance brokerage, you’re going to need help competing with the “big boys”. Unlike the days of old when an individual life insurance agent would only need to reach out to his or her community to create a successful business, today’s agents now find themselves competing with massive nationwide insurance brokerages offering a wide variety of products many of which won’t require their clients to leave the comfort of their homes to become insured. Technically any life insurance agent should be able to do the same, let’s face it, for the average life insurance agent, being able to keep up with all of the product changes that seem to occur on a near daily basis while also trying to create and maintain a health pipeline of business makes it nearly impossible for most to even consider changing how they’ve done things in the past. E-App (e-signature) processing with 11 different insurance companies. Tele-App (phone interview) processing with 10 different insurance companies. insurance company/product may or may not be the “best” for your particular client, give us a call and see what we can do for you and your business. Gaining access to a wider range of products. Increased access to sales technology. Assistance in placing difficult cases. Assistance in preparing whole life insurance illustrations.